If access to national parks and spectacular scenery are important to you, then discovering Utah communities opens the door to travel opportunities. From the red rocks to the open skies, Utah captures a true outdoor paradise. 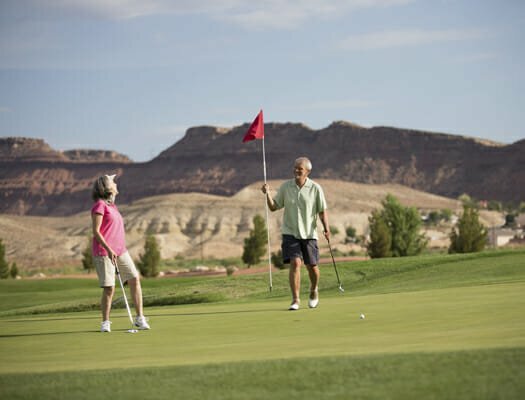 Select Utah communities to receive Discovery Travel information. As the newest development of SunRiver Communities, SunRiver Villas is luxury simplified. This new community of luxury patio homes is smaller and more exclusive?home to a modern community center and amenities including a lap pool, fitness center, test kitchen and computer center?along with access to SunRiver?s 18-hole championship golf course. Living the good life is easier than ever at the SunRiver Villas; just turn the key and you?re home.